When your Kia Sorrento, Forte or Soul has suffered damage, the staff at Larry Walker and Sons can assist you through the process every step of the way! We know how stressful accidents can be and we are here to lessen that stress when it comes to auto body repair. 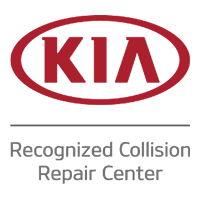 Your Kia is built with safety and technological features which take certain tools and training to fix properly. Your technicians at Larry Walker and Sons are I-CAR trained and evaluated by Assured Performance to provide top-notch, skilled repairs. We are also committed to the complete satisfaction of our customers and encourage feedback of our services! Bring your Kia into the professionals at Larry Walker and Sons Body Shop!